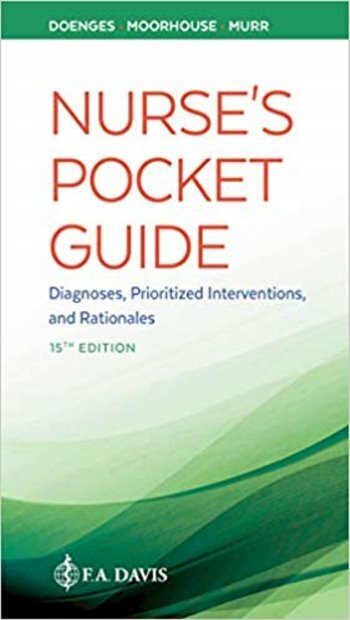 Abstract: The perfect pocket guide. This quick-reference tool has what you need to select the appropriate diagnosis to plan your patients' care effectively. 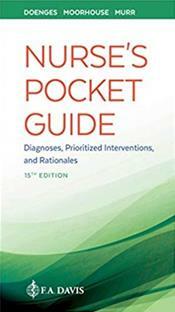 The 15th Edition features all the latest nursing diagnoses and updated interventions. A laminated "pocket minder" bookmark makes diagnosis even easier. Actions/interventions uniquely organized by priority with selected rationales. Icons within the prioritized interventions for acute care, collaboration, community/home care/cultural considerations, diagnostic studies, medications, and lifespan considerations. Defining characteristics presented subjectively and objectively. Documentation section that focuses on the other steps of the nursing process, reminding students of the importance and necessity of recording each step. NIC and NOC labels at the end of each diagnosis. Index with hundreds of diseases/disorders with prioritized associated nursing diagnoses.